And You’re Invited To Join. Frenchies is natural nail care = no chemical smells or noisy tools. From the moment you walk in the door, you'll feel that Frenchies is different. 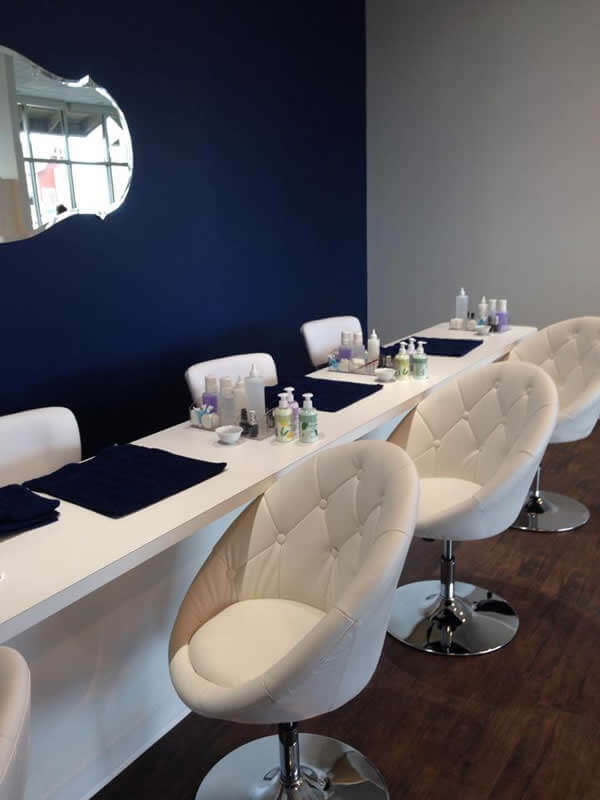 From the bright, clean and fresh-smelling studio to the smiling, engaging concierge welcoming you, Frenchies is the nail studio experience you've been looking for. Frenchies Modern Nail Care offers a clean, friendly and personalized nail salon experience, providing top quality services at great prices. We pride ourselves on providing our services in a social and fun atmosphere where our customers are fully part of the social interaction with or amongst our staff. 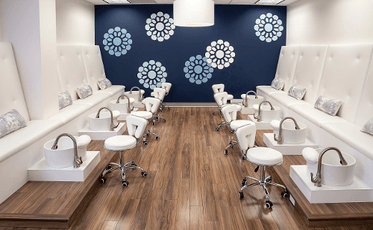 On top of an interactive and lively atmosphere, you'll notice that there aren't the harsh chemical smells of other nail studios. That's because we don't use acrylics, which on top of smelling bad, are not good for your natural nails. We offer a 100% Clean Guarantee and have an engaging customer experience with no language barrier. At Frenchies Modern Nail Care, cleanliness and sterilization of the studio and all tools is of utmost importance. We truly care about the health and well-being of each guest, and we guarantee a clean and fresh environment at every visit. We go above and beyond industry standards, and exceed regulations to ensure each guest is safe and comfortable. We know that sterilization is the only form of infection prevention that can kill all bacterial, viral, and fungal organisms, so we take it very seriously. So What Really Makes Frenchies Different? Sterilization is performed in a medical-grade autoclave, which utilizes steam under pressure to kill all contaminates. An autoclave is a fancy way of saying a pressure chamber that sterilizes the tools inside. We use it in our three-step disinfection process on each and every tool that is used on Frenchies guests. Sealed pouches with disposable tools - like files and birch wood sticks - are only opened at the start of the service and in view of our guests, and are disposed of at the end of the service. If you'd like to take the disposable tools home with you, they're all yours...in the cute Frenchies pouch! Interested in becoming your own boss and joining Frenchies in changing the nail care industry? Franchise locations are available throughout the United States for people that are ambitious, have an entrepreneurial spirit and a passion for clean, healthy nail care. Frenchies creates opportunity to make a difference. We can make peoples' day a bit brighter with a smile, fresh coat of polish and the confidence in a clean, safe environment. Frenchies is owned by experts in franchising and led by a team of entrepreneurs that understand how to find a market niche that is underserved to create strong business opportunities. The nail care industry provides great opportunity for a strong mid-market provider. Join Frenchies Modern Nail Care in revolutionizing how men and women take care of their hands and feet. Are you ready to control your own destiny and own your own Frenchies Modern Nail Care franchise? Fill out the form today!